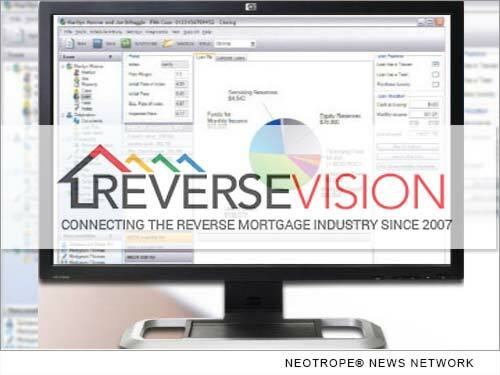 Home CA Finance ReverseVision Exchange Loan Origination Software selected by Alpha Mortgage of N.C.
SAN DIEGO, Calif. /California Newswire/ — ReverseVision has announced that Wilmington, N.C.-based Alpha Mortgage, a full-service mortgage lender serving the Carolinas and Virginia, has selected RV Exchange (RVX) as its reverse mortgage loan origination software (LOS) solution. Alpha Mortgage opened its reverse mortgage lending channel in early 2016 under the guidance of division manager and Certified Reverse Mortgage Professional Greg Gianoplus. "As southeastern North Carolina's longest-standing independent mortgage bank, we're deeply rooted in the communities we serve," said Gianoplus. "We created a reverse mortgage program to give our customers access to beneficial and flexible new financial options, like the ability to purchase a house with a HUD-insured home-equity conversion mortgage (HECM)." Alpha Mortgage's highly trained team of reverse mortgage specialists originates loans from the firm's Wilmington and Raleigh offices using cloud-based RVX. Gianoplus selected RVX as Alpha Mortgage's reverse mortgage LOS based on his past experience with the software. Before joining Alpha Mortgage, Gianoplus served as reverse mortgage division manager for Gateway Bank (Bank of Hampton Roads). "Jeffrey Taylor, CMB and founding chairman of the National Reverse Mortgage Lenders Association, recommended ReverseVision to me back when I was developing a reverse mortgage channel at Gateway," Gianoplus said. "After working with RVX for five years, I knew we didn't want any other reverse mortgage LOS for our program here at Alpha." RV Exchange (RVX) is San Diego, Calif.-based ReverseVision's flagship product. The LOS serves as a centralized exchange where all of the participants in the lifecycle of a reverse mortgage log into a single system to share all documents and information for every part of the loan process. The platform encompasses everything from point-of-sale, processing, underwriting, closing/funding and post-closing, through secondary marketing. The feature of a single exchange is unique to the mortgage industry and offers many benefits to all parties such as reducing potential document errors, better information security, and can even shorten fulfillment timelines. "By becoming a direct license user of RVX, Alpha Mortgage is demonstrating its commitment to the reverse lending arena. With significant changes over the past three years to the HECM product, awareness is growing among traditional lenders that these loans offer a unique home-equity solution that's valuable in retirement planning and addresses the specific needs and concerns of the aging baby boomer generation," said ReverseVision Vice President of Sales and Marketing Wendy Peel. "The goal of many seniors is to be able to age in place while maintaining a good quality of life. By offering reverse mortgages, Alpha Mortgage is providing a much-needed service to the communities in which they operate." Founded in 1983, Alpha Mortgage Corporation, widely known for its fifteen-day purchase closings, consistently ranks as one of the highest-volume mortgage bankers serving the Carolinas with in-house processing, underwriting, closing and funding. As a full-service provider, Alpha Mortgage is home to about 100 employees and offers innovative programs and services that continue to set industry standards for excellence in customer service. For more information, visit http://www.ReverseMortgageValue.com/.